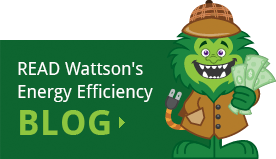 Get Your Mass Save Energy Assessment & Start Saving! Your home energy assessment is the first step to make your home more comfortable and energy-efficient. Are you a homeowner in Worcester County? 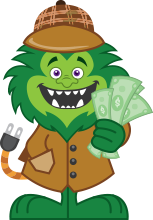 Take advantage of the Mass Save Program, and have a qualified Energy Monster Advisor perform your no-cost home energy assessment. In just one hour, your Advisor will assess your home and get you on your way to energy savings. You’ll get helpful advice and no-cost instant energy saving equipment, too! Thermal imaging cameras are a great asset to discover where your home is losing energy, especially in tricky areas. Tests for your equipment's efficiency and safety. Ambient carbon monoxide in your home poses significant health and safety concerns. We partner with all local energy providers to ensure you receive all the energy-saving rebates you qualify for. After your assessment, we’ll discuss our findings and share your most direct path to savings. Pinpoints critical drafts and air leaks within your home. *Not included in initial audit. Ask for details. Includes the installation of low-flow showerheads, faucet aerators and hot water pipe insulation. Control the climate of your home more efficiently with a brand new programmable thermostat. Minimize the impact of energy-wasting devices by plugging them into this energy-conscious power strip. The Mass Save Program is an energy-efficiency and electric/gas utility company-funded initiative that is available to Massachusetts homeowners. Through the program, you are eligible to receive no-cost home energy assessments, rebates and incentives. We list more features of the Mass Save Program here. Is the home energy assessment really no-cost? Yes! Thanks to the Mass Save, an energy efficiency and Massachusetts utility company sponsored program, you are eligible for a no-cost home energy assessment once every two years. There is no catch and no obligation to buy anything once you receive an assessment. 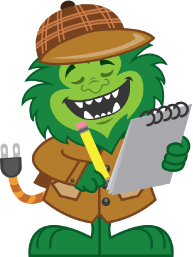 How long does a home energy assessment take? An assessment takes as little one hour and up to 2.5 hours. We can schedule an appointment time that will work for you. This is an excellent service and our auditor Julie is terrific. She is highly knowledgeable, very professional, delightful and obviously an expert in this field . Thank you Energy Monster!